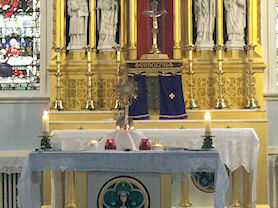 On Tuesday 2nd April, Years 3 and 4 went over to church to celebrate the Adoration of the Blessed Sacrament with Father Paul. 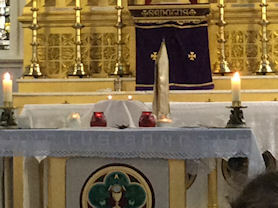 We got a chance to see the tabernacle, the monstrance and the host a little closer than we normally would. 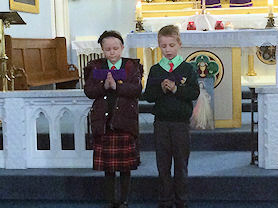 Some children completed readings for us and we said prayers as a sign of respect. 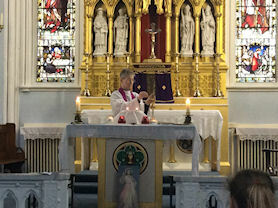 Father Paul puts the host into the monstrance. These children led us in prayer. 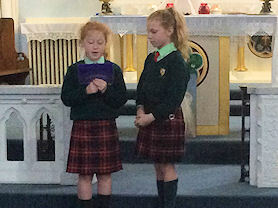 Children in Year 3 did the readings. 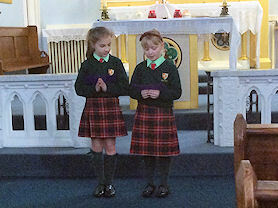 Two girls from Year 4 say bidding prayers.